Our Kansas City Chiefs are poised and ready for the home opener on September 11th, 2011 at Arrowhead Stadium vs the Buffalo Bills. Although we a short one valuable tight end in Tony Moeaki, the Chiefs have yet to give us a real taste of what they have been working toward in the short off season and preseason. Of course we know that Jamaal Charles is going to get the ball early, but will the opposing defenses be keying so hard on him that it causes him to struggle, or God forbid fumble the ball several times. The Chiefs are looking to Thomas Jones to take some of the heat off of Charles as well as a shiny new passing attack line up in Steve Breaston and Jonathan Baldwin. Cassel, though not so keen on the long ball, will hopefully pass well enough to keep the chains moving, after all, he is the highest paid back up quarterback in the league. On Sunday, September 11th, the NFL will honor the anniversary of this historic day 10 years ago when the twin towers were attacked in NYC. There should be a lot of chests swelling and an overall National sense of pride that takes over Arrowhead Stadium just before the game kicks off at 12 noon and hopefully the crowd at Arrowhead can help fuel the Chiefs drive towards success. There are a lot of great new things to look at and do at the new stadium including the Hy-Vee Quad, where local favorite band The KC All Stars will be performing. For some members there is also the Founder's Club where they will be featuring entertainment from Spike Blake from the dueling pianos fame. There are also numerous new display cases and monuments to Chiefs history, just be sure and get back to your seat before the fly over! 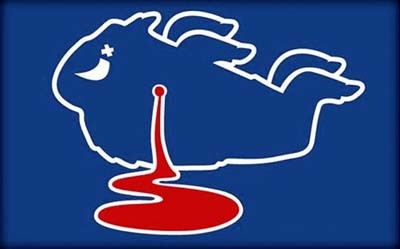 The Chiefs home opener 2011 vs. the Bills will be a day that we will remember for years to come.